Audra is interested in the language and cognitive development of individuals with neurodevelopmental disorders. In particular she is interested in the communication of children with fragile X syndrome, autism spectrum disorders, and Down syndrome. The long-term goals of her research seek to understand the contributions of both biology (as represented by genetic syndromes, e.g., FXS) and environment (as represented in this case by parenting) in the development of language and cognition in children with developmental disabilities. She is also interested how the premutation of FXS impacts language and cognition. Mariam El Amin is a second-year master’s student at the University of Wisconsin-Madison. She graduated from the Lebanese University with a BA in speech and language therapy. She practiced as a school-based SLP for a year in Lebanon and then was awarded the Fulbright Scholarship to pursue her master’s degree at UW-Madison. She’s interested in communication disorders and their impact on the development of language. Mariam is currently working on her Master’s thesis looking specifically at conversational inappropriateness in boys with fragile X Syndrome and autism spectrum disorder. Lizzie is a Postdoctoral fellow at the Waisman Center and received her PhD in developmental psychology from Loyola University Chicago. Lizzie’s research is dedicated to understanding the language and literacy development of children with neurodevelopmental disorders. Her dissertation research explored the writing ability of children with and without autism spectrum disorder (ASD), and the mechanisms that may contribute to writing challenges (e.g., language, handwriting, executive functioning). As a postdoctoral trainee, Lizzie is interested in further investigating the linguistic phenotypes of children with ASD and fragile X syndrome. 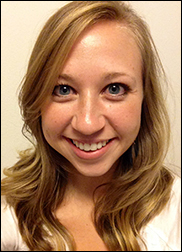 Ama is a first year MS/PhD student in communication sciences and disorders at UW-Madison. She graduated from Truman State University with a BS in communication disorders. Ama is eager to develop her research interest in social communication while working on projects focused on language development in children with developmental disabilities. When she’s not in the lab, Ama can be found chasing frisbees, reading books, and taking hammock naps. Laura is an PhD student in the Department of Communication Sciences and Disorders. She graduated from the University of Maryland with a BA in hearing and speech sciences, and completed her MS degree in speech-language pathology at UW-Madison. Laura has been working with individuals with autism spectrum disorder and other developmental disabilities for many years as an ABA technician and direct support specialist. 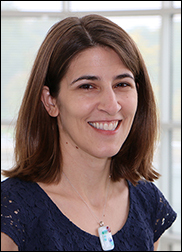 Her research interests include language production and development in individuals with ASD and fragile X syndrome, along with how ASD affects the fragile X phenotype. 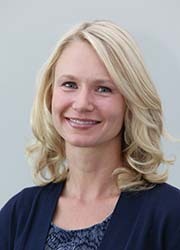 In her free time, Laura enjoys completing jigsaw puzzles, spending time outdoors, and exploring Madison’s restaurants. 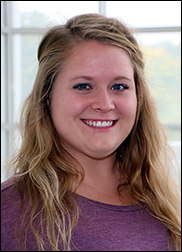 Kallie Renfus is currently a student in the master’s degree MS/PhD program in communication sciences and disorders. She graduated from the University of Notre Dame with a BA in psychology. Kallie is interested in studying parent-child interactions with children with Down syndrome and ASD diagnoses. She is excited to be working on projects involving the language and communication skills of children with developmental disabilities. In her free time, Kallie enjoys running, drawing, and reading! 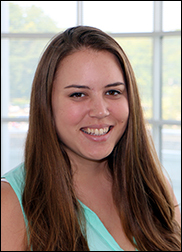 Emily Lorang is a PhD student in the Communication Sciences and Disorders Department. Her research interests include investigating the complexities of communication profiles in people with developmental disabilities of genetic origins, such as in Down syndrome and fragile X syndrome, with or without comorbid autism spectrum disorders. Currently, Emily is working on a project exploring how both parenting and child behaviors affect language development in Down syndrome. In her free time, Emily enjoys biking, going to the farmer’s market, and spending time with friends and family. Kellie is a second year student in the master’s program for speech-language pathology. She has been working in the RIDDL lab since her junior year of college. Kellie has completed her honor’s thesis in the lab, is an examiner in the MRI study, does various coding tasks, and is now currently working on her master’s thesis on peer victimization in adolescents with autism spectrum disorder. Outside of the various things that Kellie does in the lab, she enjoys drinking coffee on her balcony, spending time with her friends and her cat, making pizza, and planning vacations that she currently cannot afford. Kellie will be graduating from UW-Madison (and the RIDDL lab) in May and is hoping to do her placement as a clinical fellow speech-language pathologist working with developmental disabilities, pediatrics, and/or augmentative and alternative communication.